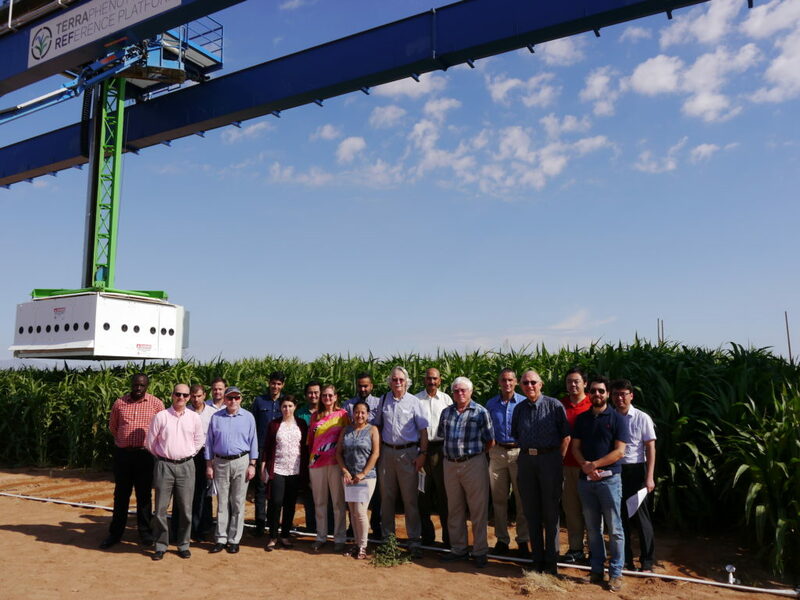 The 9th DSSAT Development Sprint was held from July 09-13, 2018, at the Maricopa Agricultural Research Center (MAC) of the University of Arizona in collaboration with the Arid Land Agricultural Research Center (ALARC) of USDA-ARS. The workshop was attended by scientists from Brazil, Jordan, Mexico, South Korea, and the USA. One of the main goals of the Development Sprints are to improve both the science and the tools of the DSSAT crop modeling platform using a “hackathon” approach. Significant achievements and outcomes of the workshop include the advancement of the canopy temperature model; the incorporation of a new ET model based on the ASCE standards into DSSAT; a dynamic linkage between the DSSAT crop models and a livestock model using Docker and MPI; a 2-Dimensional soil model; the development of a simple salinity response module; the development on a strategy for the incorporation of new crops into DSSAT and CSM; and the development of a flexible Input/Output system using C++. The DSSAT Development Sprints are open to anyone interested in programming, but note these are not advanced training workshops. The next DSSAT Development Sprint is scheduled for the second week of January, 2019, at the the University of Florida.